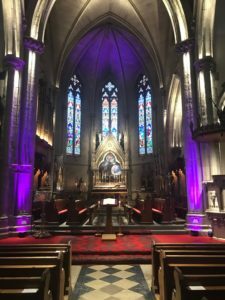 Welcome to St Paul’s Cathedral, Dundee! 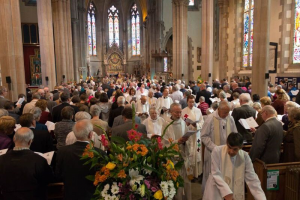 Here, you will find a living and lively faith community right in the heart of Dundee’s vibrant city centre. We are a diverse group of people ranging from those who have been born and bred in Dundee to people from all over the world who come to Dundee for work or study. Designed by the famous Victorian architect, Sir George Gilbert Scott, our beautiful building with its soaring spire can be seen all over the city and dominates the skyline. As Cathedral, St Paul’s is the mother church of the Diocese of Brechin in the Scottish Episcopal Church, the Scottish province of the world-wide Anglican Communion and is the seat of the Bishop of Brechin, but primarily it is the spiritual home to the rich variety of different people that make up the Cathedral congregation. 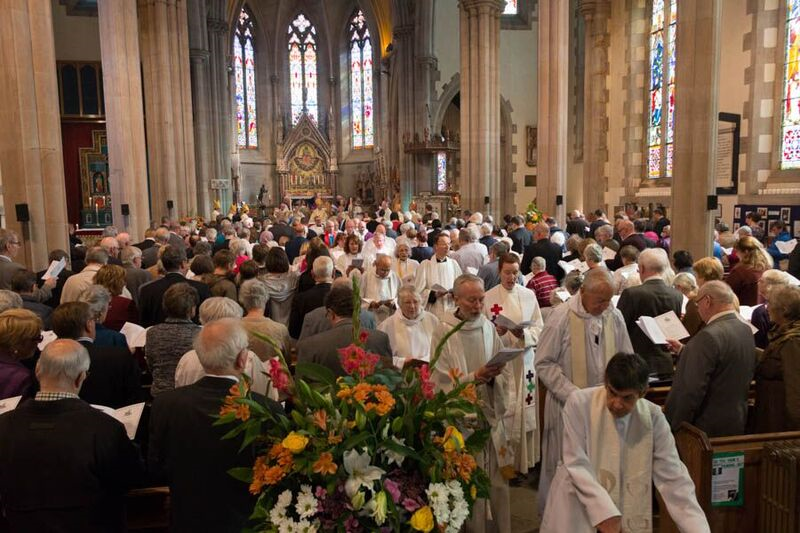 We extend a warm welcome to all, whether you are looking for a spiritual home in Dundee or just passing through. People of all faiths and none are very welcome to visit the Cathedral at any time: to join us for a service, to light a candle, or simply enjoy the building and its atmosphere. We work hard at being welcoming and inclusive of all, and constantly look for ways to creatively show the love of God in our city and beyond. 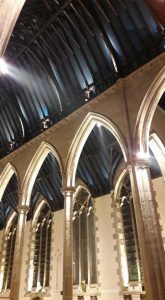 Do come and join in one of our services or other activities if you are living or visiting our city – we would love to meet you – wherever you are on your own faith journey. The Cathedral sits upon the Castle Rock of Dundee and therefore all entrances are reached via flights of steps. We are currently working towards access for wheelchair users and anyone with mobility challenges via a series of lifts and ramps. In the meantime, we have a mechanical stair climber with trained operators who will be delighted to assist your access to the Cathedral. If possible, let us know in advance by ringing the Cathedral office (01382) 224486 so that we can have the stairclimber ready at the foot of the steps. Otherwise, simply notify someone on arrival that you would like to use the stair climber. St Paul’s Cathedral is being supported by Climate Challenge Fund through its project to help cut local carbon emissions.